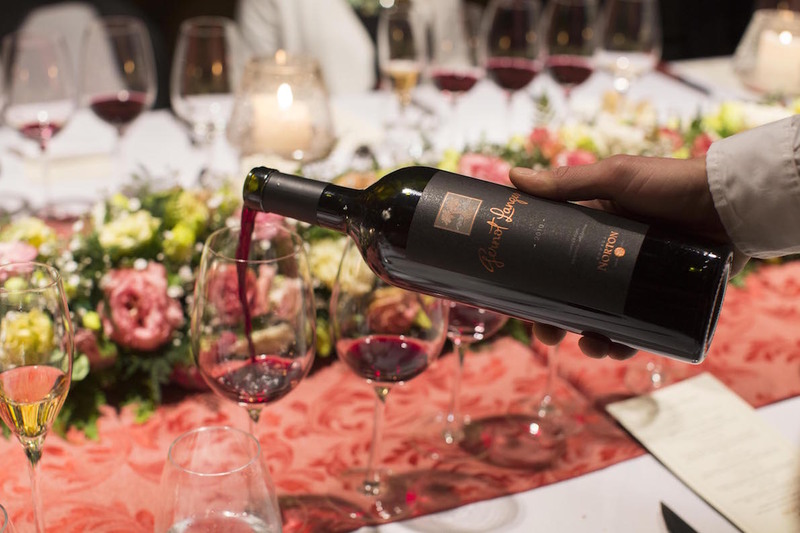 MENDOZA – One of a cluster of big-name Mendoza wineries that forms part of the 100+ club, Bodega Norton is about to hit the 120 mark. Pedalling hard and fast to get to the wine. While others include Lagarde, López and Luigi Bosca, Norton – in my mind – is a budget producer with a big budget to back it up. But after a snout around the winery and having met the people in charge, now’s as good a time as any to see the error of my ways and set the record straight. 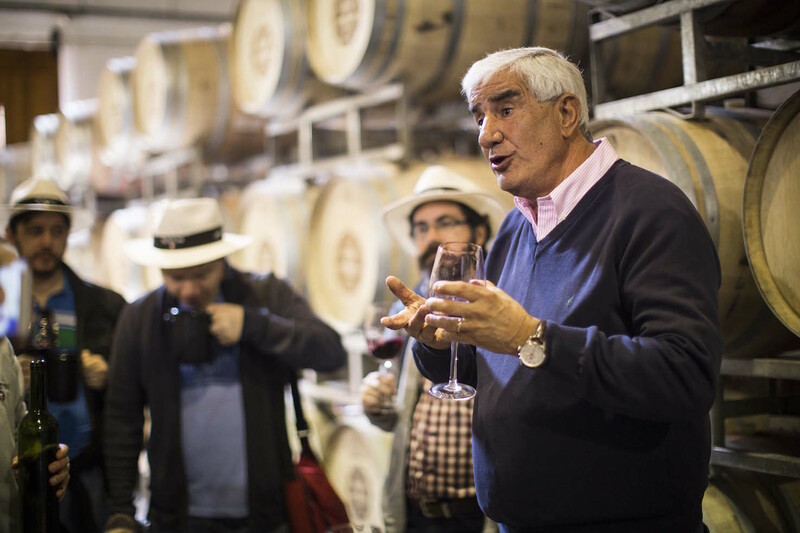 Celebrating its anniversary this November, the winery is in the extremely able hands of Jorge Riccitelli – the enologist who put Cafayate’s Torrontés on the map. Not ringing any bells? He was also named one of wine magazine Decanter’s top 30 winemakers in the world earlier this year. Impressed? Damn right you should be. And Norton clearly agrees; Jorge has worked at the Perdriel, Mendoza-based bodega for the best part of 25 years, not just producing wine for the masses but a whole range of top-quality sips that are really worth taking a closer look at. Jorge and Austrian owner Michael Halstrick recently bet on Cabernet Franc being the next big thing. I sampled this new fruits-of-the-forest number straight from the stainless steel tank and despite its green hues, that varietal’s fruit and black pepper nose was showing signs of becoming a classic. El Capo. Jorge Riccitelli, chef enologist at Norton. The winery itself is a slick operation when it comes to visitor facilities: La Vid restaurant led by chef Patricia Suarez Roggerone serves topnotch Mendoza fare, a fascinating cellar is stuffed with jewels from harvests past and antique wine-making tools as well as pristine grounds perfect for a garden party or picnic overlooking vines. As for winery kit, Jorge and team have barrels, casks, stainless steel tanks and cement pools to play around with – only concrete eggs are lacking that are in fashion right now, not that Jorge minds, he says. 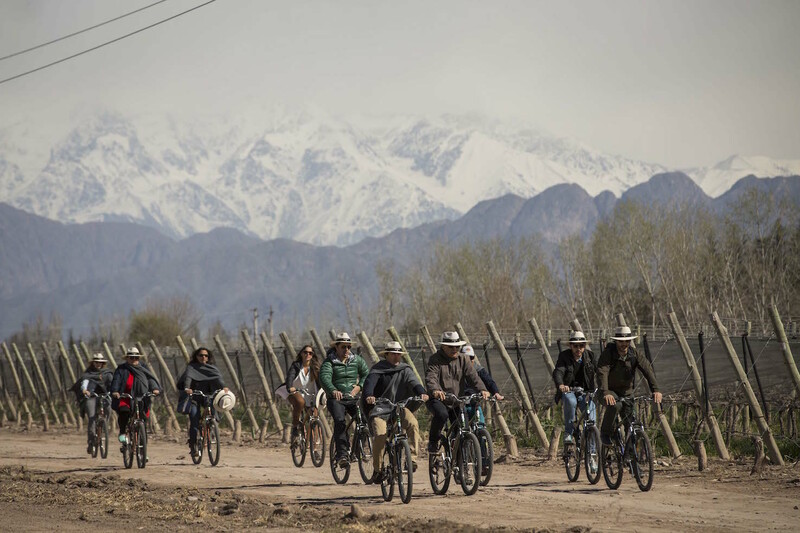 And to get the 120th anniversary rolling, Norton gathered a group of journalists in Malbec’s heartland for three days of tank and bottle tastings, fun and merriment and even a little work in the shape of a terroir workshop. So intent was the winery to celebrate its landmark birthday, not even the aftershock that shook Mendoza to the tune of 7.9 on the Richter scale put festivities on hold. While I was waiting to board a plane at Mendoza airport, the rest of the group was busy making its way down the Sheraton’s fire-escapes downtown. And from what I gather, my colleagues were first shaken but then later stirred when Jorge and Michael started to crack open some 1944 vintages at the grand gala dinner. Nothing like a lavish banquet to sooth the nerves after an aftershock measuring 7.9 on the Richter scale. While I’m still gutted about missing out on that (but the only way a girl can cover Latin America’s 50 Best Restaurant awards is by attending the party in Mexico City), other sips caught my eye. Besides the aforementioned funky reds, check out Colección line’s Sauvignon Blanc and Chardonnay. Bright, fresh and fruity with change from 100 pesos, this pair will keep you cool over summer. Also take a closer look at the Single Vineyard Lote collection. That’s right, Norton has quite a lot of big guns. Comprising 2010 Malbecs from vineyards in La Colonia, Lunlunta and Agrelo, my hit was La Colonia given its aromatic expression and vibrant fruity mouth. What I love in particular is the extent of the label’s intel: from harvest date to the age of the vines, the altitude of the vineyard and time spent ageing in barrels. I sampled the Single Vineyard collection with Jorge himself next to me, as good fortune would have it. A gem of human being, the wine flowed freely as did the conversation, and the upshot is that we’re going wine tasting in Australia at some point in the nearish future! My lyrical waxing could carry on for an entire supplement but this is the deal: familiarising myself with Norton’s wares was more than a pleasant surprise, it was, at times, a decadent pleasure. Take another look.